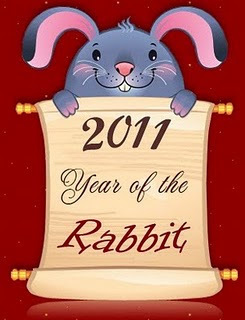 My Asian Kitchen: Gong Xi Fa Cai:Happy Chinese Lunar Rabbit Year! Happy New Year! Gong Hei Gong Hei! Thank you ladies for your wishes...Wish you have a Very Happy Chinese New Year too! !